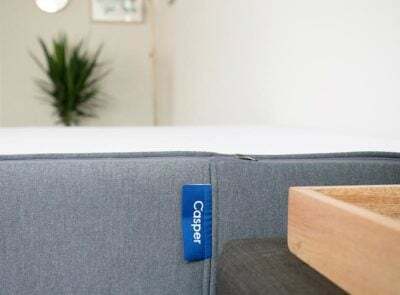 Helix and Casper are two companies that have brought innovation to the mattress industry. Casper disrupted the industry by bringing the online-only concept to the mainstream, and they have had great success ever since their launch. Helix came up with a truly unique concept that allows each individual to create a customized mattress based on a series of quiz questions. Both companies have gotten a lot of press and deservedly so. As a result, it’s natural for people to wonder how these two mattresses compare to one another. Ultimately, I think the choice between the two mattresses is quite clear. The Helix is made of a combination of polyfoam, a proprietary latex-like foam, and microcoils. 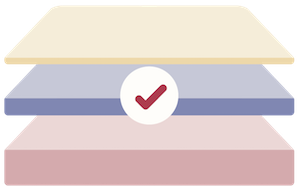 The combination of the layers will depend on the answers you provide to the personalization quiz on their website. All of the materials are of good quality and are built to last. The Casper is made of 1.5” of latex on the top layer, 1.5” of memory foam in the middle layer, and then 7” of support foam. 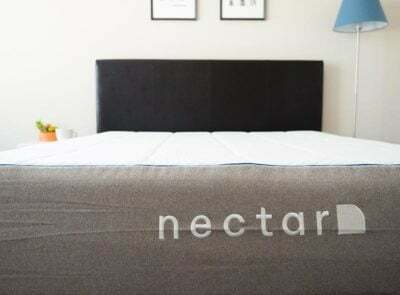 These materials in this combination provide for a nice, bouncy foam feel without the feeling of getting “stuck” in the mattress, which is a common complaint from pure memory foam mattress owners. 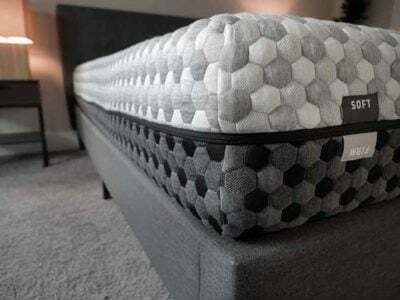 It would be hard for me to make a recommendation of one over another because mattress selection always comes down to personal preference, and because the Helix was customized specifically to my tastes. The Helix you would order would most likely be different from the one I ordered. Having said that, I’ll try to describe the types of people that should consider picking one over the other. Couples– You can get a blended or split mattress from Helix. Split means that one side of the mattress will be customized for one sleeper, while the other side will be customized for the other sleeper. This is great if you both have different sleeping preferences. Blended means they will combine your preferences into one. I actually consider the Helix one of my choices for best mattress for couples. You’re Unsure / Don’t Have Strong Preferences– The Helix quiz process was created to maximize the chances that you will get a mattress that fits strongly with your needs, characteristics, and sleeping style. Going with the Helix gives you a great shot at getting a mattress that is suited to you. 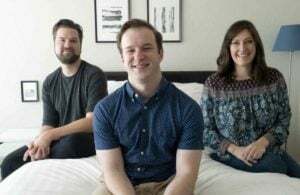 Don’t Mind A New Concept– It’s a little harder to read the reviews of Helix and get consistent information, because each mattress was personalized to the reviewer. If someone says their mattress felt just right, that is because it was personalized to them. Helix is providing a brand new concept where you will have to take a small leap of faith without having hundreds of reviews of your exact product to rely on. 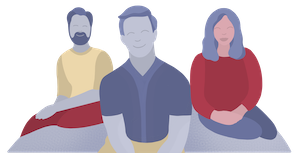 You Want Consistent Social Proof– Casper is just one product with zero variations. When you read reviews the mattress, you are reading a review of the exact mattress you are going to receive. Casper has many hundreds of reviews to draw from at this point, so you should be able to generally assess how you will feel about it. If you need that type of social proof, you won’t be able to get it just yet from Helix. You Have Average Sleeping Preferences– If you are of normal weight and sleep in multiple positions, the Casper is probably going to be just fine for you and you wouldn’t need any extra customization. 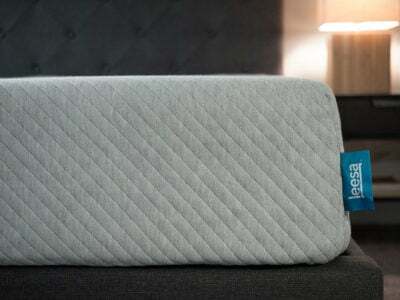 Casper has tried to create a “one mattress for all” concept, while Helix customizes each mattress to the individual. Personally I think that Helix’s philosophy in that regard is more sound, and that both have equal (quality) materials and a similar business model. Thus even though Casper is very popular and a sound mattress, I personally prefer Helix. Read more at my Casper review and Helix review.